Thirty two patients with proven chronic bacterial prostatitis were treated with ciprofloxacin 500 mg twice daily orally for four weeks. The causative organisms, cultured from prostatic fluid wereEnterobacteriaceae (19 patients), enterococci (9), staphylococci (4), streptococci (3), non-fermentative Gram-negative rods (2) and anaerobic bacteria (9). Nineteen patients had pure cultures, 13 mixed cultures. The susceptibility of all organisms to ciprofloxacin, sulfamethoxazole, trimethoprim and doxycyclin was determined by agar dilution. The effect of therapy was measured by clinical parameters and by repeated cultures of prostatic fluid during and after therapy upto six months. Clinical cure (at one month after therapy) was obtained in 22 patients, improvement in seven; two patients dit not respond, one patient had to stop during therapy because of severe nausea. No other side effects were noted. 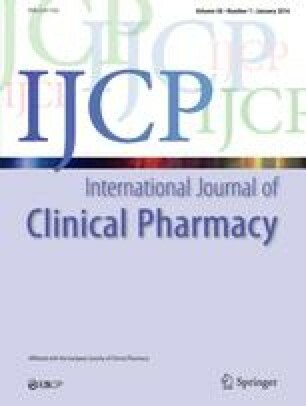 Ciprofloxacin may be a useful alternative drug in the treatment of prostatitis.